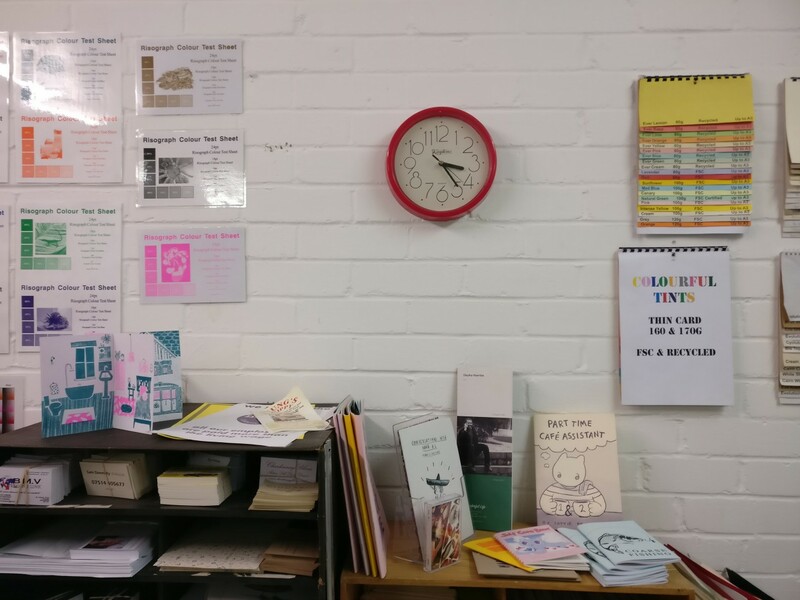 MARC the printers – short for Manchester Area Resource Centre – has been a Manchester staple for eco-friendly printing for over 40 years. Much has changed over the decades! Looking back we are proud and happy having been able to facilitate many of Manchester’s local grass-roots, charity and creative organisations printing, meeting rooms and training needs. In 1975 we started off supported by the Young Volunteer Force Foundation, running MARC with the help of four workers and many volunteers. Back in the day we operated with electric stencil makers, duplicators and typewriters. Most of our services were free to charitable organisations, we were able to run workshops and training sessions helping build people’s skills and confidence. Over the years it became harder to secure funding, we had to move to smaller premises and eventually were not able to facilitate workshops and skill-sharing as we used to. 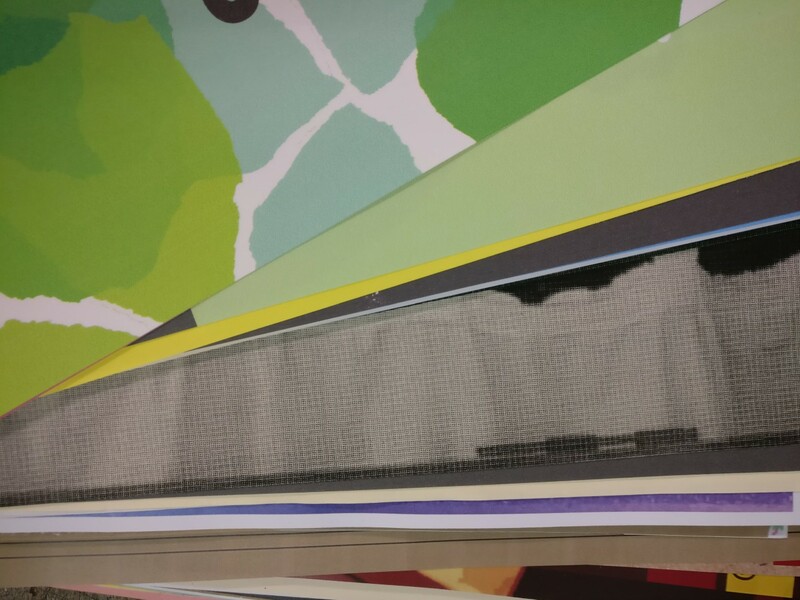 On the bright side, becoming a more commercial printers, we were able to engage more with small local businesses, the creative sector and invested in more modern machinery – still keeping the green community spirit alive in the work we provide. We’ve been doing well and always supported our friends as much as we could, may it be with free or discounted printing offers or donations to projects we adore. 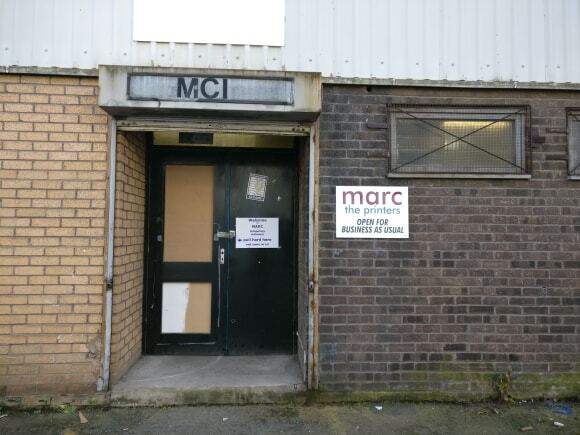 In our new home, Regent Trading Estate, we want to re-invent MARC and keep fighting for greener, more ethical, community faced printing services in the Manchester area. We want to go back to our roots: being able to facilitate workshops again to help grass-roots and social justice groups. 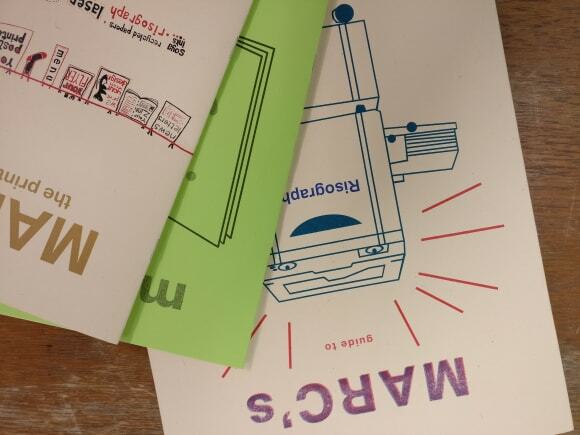 We want to be there for up-and-coming artists make them understand print-processes better and enable local businesses to produce their printed goods fast and locally.